Remember the story of the Target parking garage mugging? The one that was posted on Craigslist (since expired) where the victim said "My person was searched while my senses were assaulted with all manner of epithets and threats."? Well, it's not true. I was researching this incident that occurred at the Parking Garage at the DC USA Shopping Center. I have been unable to conform that robbery did actually at the garage that is operated by the District of Columbia. I responded yesterday to the shopping center and spoke with the project manager. He reported that he also heard about this Craigslists posting and he also did some research on his end. He met with his security staff and checked on the security logs and he also had no record of this occurring. I checked the Craigslists posting and it sounds like there maybe some other motive to this posting. In the past rumors have circulated regarding this shopping center. Simply these are false and are intended to spark controversy within the community. Clearly, there is a large interest in the area and possibly long standing residents may not want the increased traffic in their neighborhood while competing for parking spaces. I can assure you that the DC USA Shopping Center is safe to shop in and each store has sophisticated camera surveillance equipment. In the past the problems that we have had are employees stealing from their employer. The Target Corporation is doing an excellent job in weeding out thieves that enter their stores and they actually prosecute these offenders. I thank you for bringing this matter to may attention. Again, big thanks to Prince of Petworth for clearing this up. 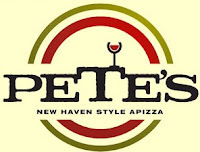 Some buddies and I went to Pete's Apizza Monday after work to check it out. The verdict: it's decent. Of course, it was only the first day, so maybe some of the kinks haven't been worked out. The place was very busy, but didn't have as much of a restaurant atmosphere as I thought it would have - it's not very large and seems more lunch-ish than dinner-ish. There are maybe 10 tables and a long counter where you order. The ordering is a little strange, you order either slices or whole pies at one register, then go to another to pay. 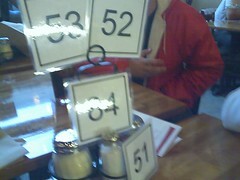 Then they give you a number and you sit and wait. The slices are right in front of you when you order, but you don't get them for a few minutes - I guess they heat them up. It was a little confusing at first, and one of our party didn't get his slice for 10 minutes or so - some kind of mixup. As for the important part, the pizza was pretty good. Two of us got white clam slices, apparently a New Haven specialty: they were good, if a little dry - that also might be an effect of buying single slices, which may not be the freshest. The sausage and mushroom slice was good, and my buddy bought a whole pie, which he liked. The slices are about $3, whole pies about $20. They don't have beer or wine yet and folks at the register said it may be about a month. They'll have four local beers on tap, some Italian beer in bottles, and an Italian red and white wine. They also have very good gelato, but it's pricey - $4.50 for a small cup, $5.95 for a bigger one. Most of us agreed that Alberto's, Radius, and Red Rocks are better places. Then again, buying a slice or two right off the Metro is handy. I'll go back in a little while to give it a follow-up. And randomly, Councilman Jim Graham was there. Pete's Apizza (get it, pizza pizza) is opening at 1400 Irving Street NW, next to Potbelly and the Metro. They serve New Haven style pizza (aka apizza). If you've never had it, it's pretty delicious - thin and such. Here are some pictures, DCist mentions it, and Don Rockwell's has a thread on the joint also. UPDATE: I just called them to confirm, they open at 3 pm. 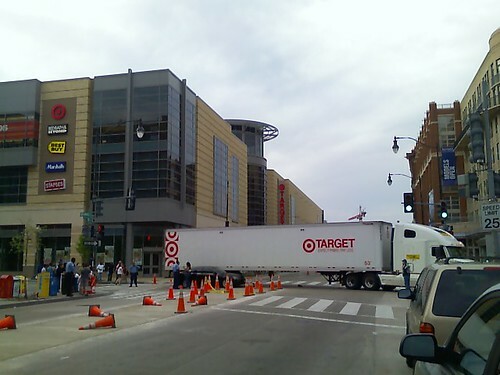 Last Saturday a Target truck and a car got into an accident in the middle of 14th Street. Nobody seemed to have been hurt, but they were out there for awhile. D'oh. I went to check out D'Vines yesterday, the new beer and wine store - it's a pretty neat little place. It's minimalist, like Devino's at 18th and Florida, and there's a good craft beer selection. 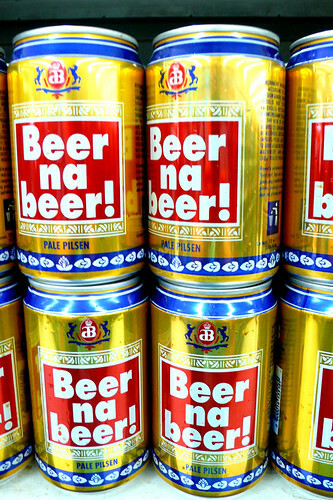 The cheapest six pack is $7.99, but it's all fancy stuff. I don't know much about wine, so I can't really comment, but there was a lot. They're open until 10 pm every day, including, Sunday, which is pretty cool, and the manager said they would be getting in minikegs soon - good for cookouts and such. Give them a visit. D'Vines is at at 3103 14th Street NW, right near the Starbucks. Prince of Petworth has photos and such. I went to the neighborhood meeting last night (the one about Target's liquor license) and the ANC commissioner and another local business guy mentioned that WOW Wingery will be moving into DCUSA and will get a liquor license. I'm not too familiar with the place - the guy said it's a family-type sports bar, if that means anything. I know there is one on the GW campus. Looking at the website, it basically looks like Buffalo Wild Wings or TGI Friday's or something. It might not be the coolest spot, but it's good to have another bar in the neighborhood. As for the meeting, most people were in favor of both Rumbero's sidewalk cafe and the Target liquor license. I asked if they were going to sell Sparks, and they didn't know what it was. Muggings in the Target Parking Garage? There was a message on Craigslist today talking about a man getting mugged there. Now obviously, I'd feel bad for the guy. However, call me cynical, but I don't buy it. If you want to shop at the San Quentin (sp) prison mall then go to Columbia Heights and get the D.C. version. You will have fun spotting all the local gangs and those ner-do-wells that usually are only seen in the highest security wings of federal prisons. Maybe it's just the guy's attitude, but I find a lot of this hard to believe. Hopefully this isn't true. Councilmember Jim Graham asked MPD about it on the Columbia Heights list, but so far we haven't heard back about it. Stay tuned. Just saw this on the Columbia Heights listserve. Rumberos will be present to answer questions you may have. meeting or to share your thoughts if you are unable to attend. I have no problem with either of these. If anything, the Target license might light a fire under Giant's management or make their lines smaller. I'm already buying as many groceries at possible at Target rather than Giant. Plus they might have cheaper beer. I put this on DCist also. Depending on how they measure it, it might be too close to a school. I'm not positive about the law though. 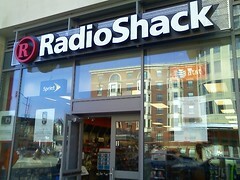 At 14th and Irving, in case you need radios or shacks. The only thing I buy there is Nintendo cables. 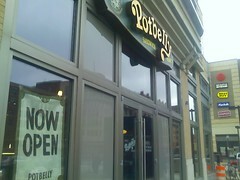 The new Potbelly at 14th and Irving is open, and I went to check it out today after work. The people working there weren't quite as friendly as the other ones around, and it took awhile to get my sammich, but considering it opened yesterday that's not really too surprising. I guess they were still working out the kinks too, as there were 9 people working, but only one making sandwiches. They do speak Spanish though, and apparently had run out of job applications, as somebody asked for one when I was there. But anyway, the sandwich was good and cheap as usual. The place is light and airy inside, unlike a lot of the ones I've been to, and it'll be a nice option for a quick dinner or what have you. I think folks might need some time to get used to it however - one guy asked for a footlong. It's open every day, 7 am to 9 pm Monday-Friday, and 11 am to 9 pm Saturday and Sunday.